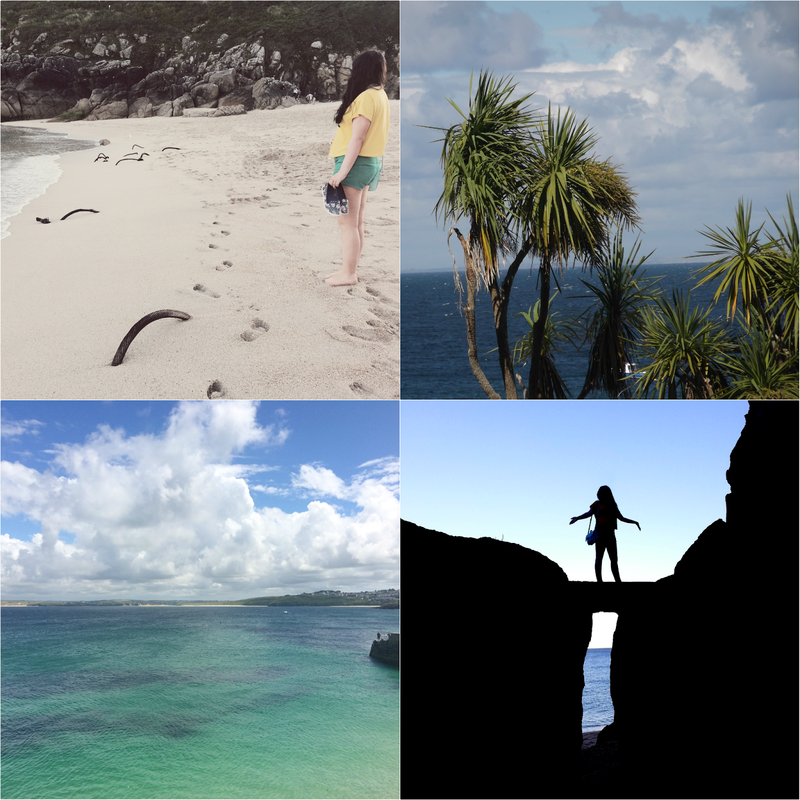 July: I went on holiday with my family to Cornwall which was good because we hadn't been on holiday in years and it was desperately needed. I had a great time and you can read my little recap and see a couple of photos here. Then I made macarons for the first time ever and they came out perfectly. I didn't even burn the kitchen down, so that was weird. Pro chef or what. 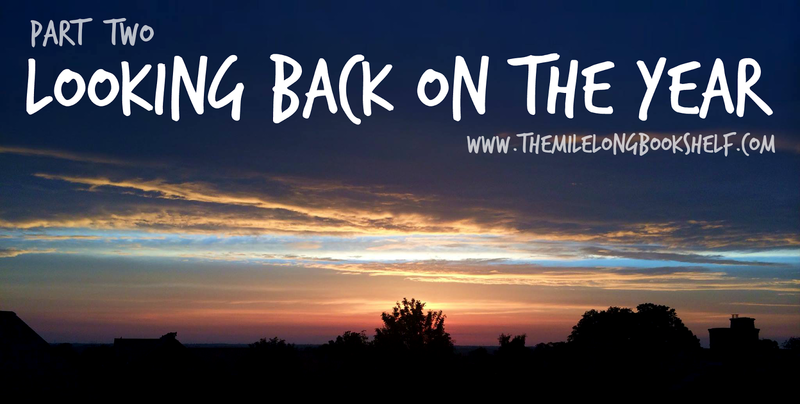 August: A couple of things happened that were really exciting to me, yet will probably sound really lame to you, but they're going in this post anyway! 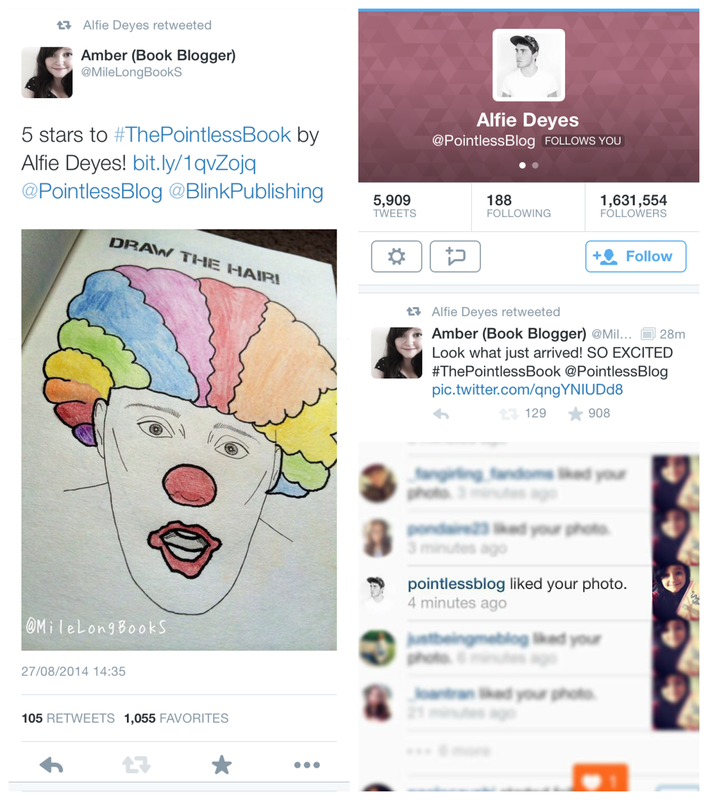 I got The Pointless Book by Alfie Deyes for review and in the space of a few hours he retweeted me twice, favourited two of my tweets, followed me, and liked one of my photos on Instagram. My fangirl heart just could not cope. Next, my review of Anna and the French Kiss by Stephanie Perkins was quoted again, but this time it was in the final book in the trilogy, Isla and the Happily Ever After. 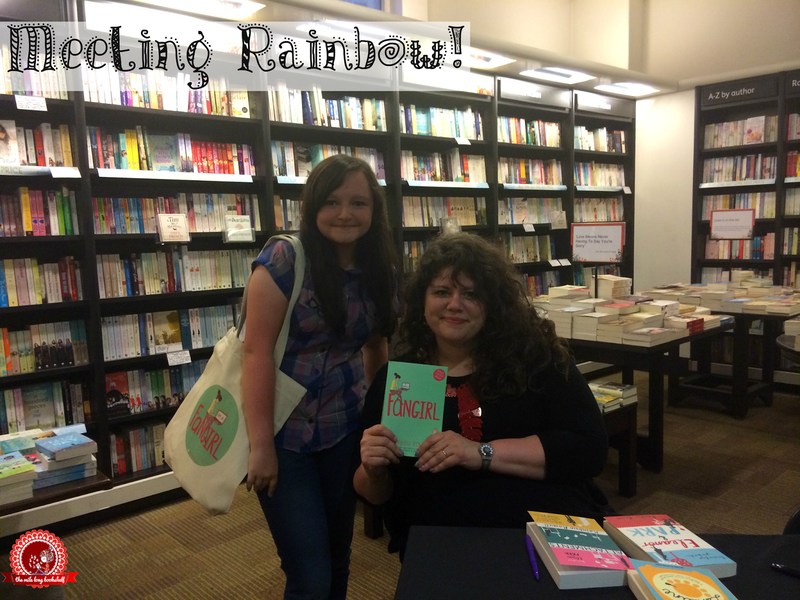 I hadn't realised it was in there until someone tweeted me a photo! Again, my fangirl heart just could not cope. I was also 'Blog of the Week' in The Bookseller and they quoted my review of She Is Not Invisible by Marcus Sedgwick! I really, really wish I had the money to subscribe to The Bookseller. It's so awesome. If you haven't read any of the books I just mentioned, you really should. Bottom photo credit: MidnightTopaz on Twitter. September: School started again on the 1st of that month and I was instantly in the biggest and worst reading slump I have ever been in. I read one book, and even then, I didn't hugely enjoy it. So that sucked. 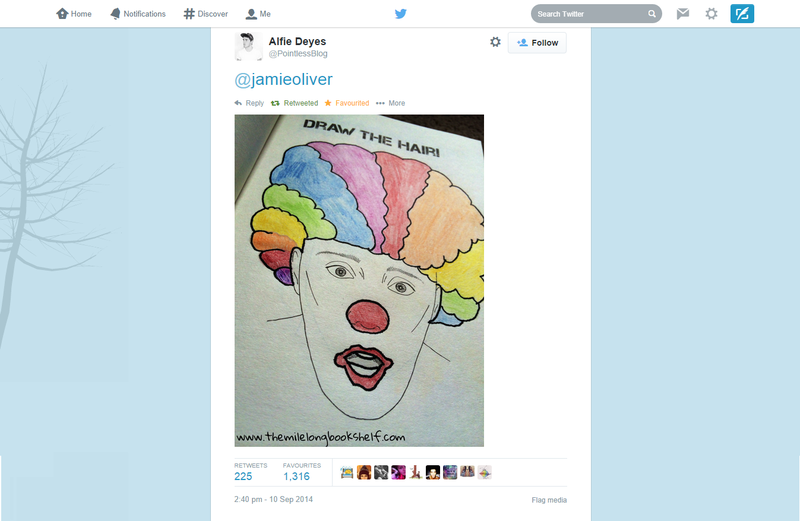 However, Alfie Deyes once again made the month better by randomly tweeting my drawing of him to Jamie Oliver...? And he replied...which means Jamie Oliver has seen my drawing... yeah, I don't know what to say about that. Also that month, I did a couple of things I was really anxious about, but they turned out okay. For example, I went to see the Red Arrows for the first time! If you don't know who they are, they are "one of the world's premier aerobatic display teams." I've wanted to see one of their displays since I was little, and I finally did. I also made friends with an old dude who wore his hat backwards - in my head I called him Gangster Grandad. He let me stand at the front where all the proper photographers were, so there was a long line of people with amazing professional cameras... and then little me with an iPhone. I have never felt so out of place, and yet it was such an awesome thing to watch and I actually felt patriotic for the first time in my life. Check out my 15sec clip from the display here! October: I got back into drawing! 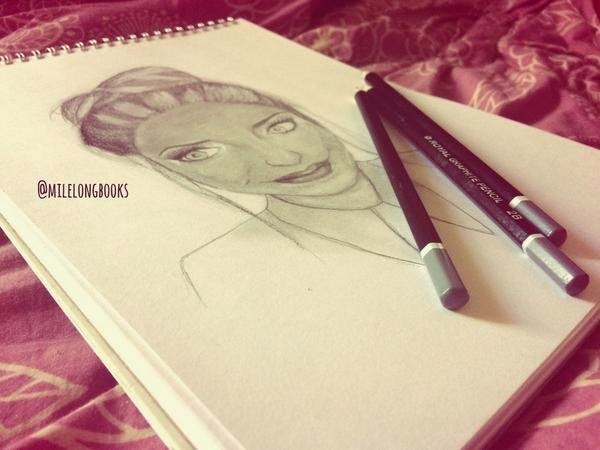 I've always loved drawing (mainly portraits) but for some reason I really haven't done much of it this year. I participated in the Ninja Book Swap again but this time it was Halloween themed! The person chosen to send me a surprise was a girl called Lydia and she sent me Soulmates by Holly Bourne, a Harry Potter sticker book (never too old) and some chocolate. If you're reading this, thanks again! October also brought with it my sixteenth birthday, and a few days after that, Halloween. Both were lame because I felt terrible, so I did nothing to celebrate either of those. 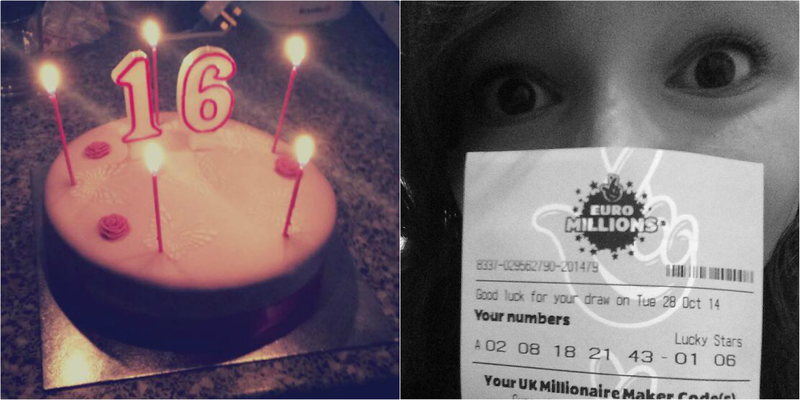 To add to how lame my birthday turned out to be, I had a counselling session that night (for my anxiety) which I wouldn't usually mind but, y'know, it was my birthday - to make matters worse, it turned out to be the last one. Sigh. November: On Bonfire Night I went to two firework displays, the first of which I watched from a bridge (there's no way I'm paying to get into a display which once sent a firework into the crowd instead of the sky.) The second one I went to was at a castle and it's honestly the best firework display I have ever seen, minus the New Years display in London. It was so amazing. 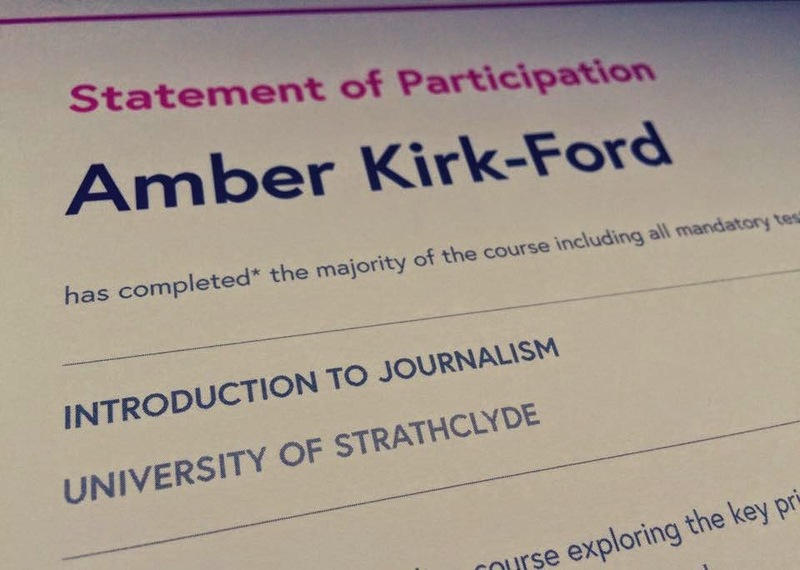 If you didn't know already, I really want to work in the journalism industry, and so I completed the University of Strathclyde's Introduction to Journalism course which was actually really fun and so useful. There was a small section on blogging, too, which was pretty awesome. Then, the BEST THING EVER happened. I won the Blogger category in the inaugural Future8 awards! I was - and still am - over the moon. The Future8 awards were created in association with The Guardian, and it celebrates the best digital talent of kids aged between 7 and 17 in the UK and Ireland. I think that's such a good idea because this age range tends to get overlooked when it comes to technology, and the other categories were Animation, Games, Mobile App, Music, Online Video, Web Developer and Maker. The awards ceremony was hosted at Google HQ but I didn't go because anxiety struck yet again. 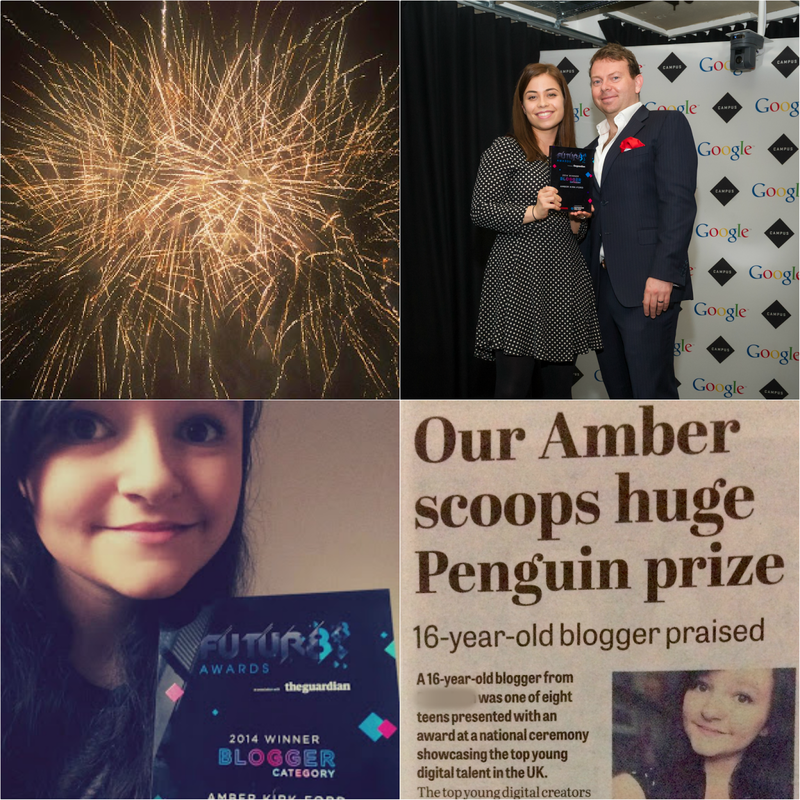 However, the ceremony meant my face was on a huge screen at Google - that won't have been a pleasant experience for anyone, haha - and Sam from Penguin Random House UK accepted my award on my behalf! PENGUIN! Still not over it. Because of this, I was in The Bookseller, The Guardian, BookBrunch, the SuperAwesome blog, The Guardian again, and even Publishers Weekly tweeted about me. The paper I write for did a feature about it, too, and I still have no idea how they found out because I didn't tell them about it. I pretty much spent that week in shock. In fact, I'm still in shock. Then my mock exams began. I passed everything, it was stressful, the end. December: The Mile Long Bookshelf turned 5 years old! I wrote a blog post on the day which you can see here. If there's only one other blog post of mine you read today, or ever, please make it that one. I also met Olaf from Frozen at the Christmas lights switch on. It was meant for little kids, but I don't care. WE. MET. OLAF. Then, no big deal or anything, I wrote a couple of blog posts for Penguin. My favourite publisher. The biggest publisher in the world. No pressure! 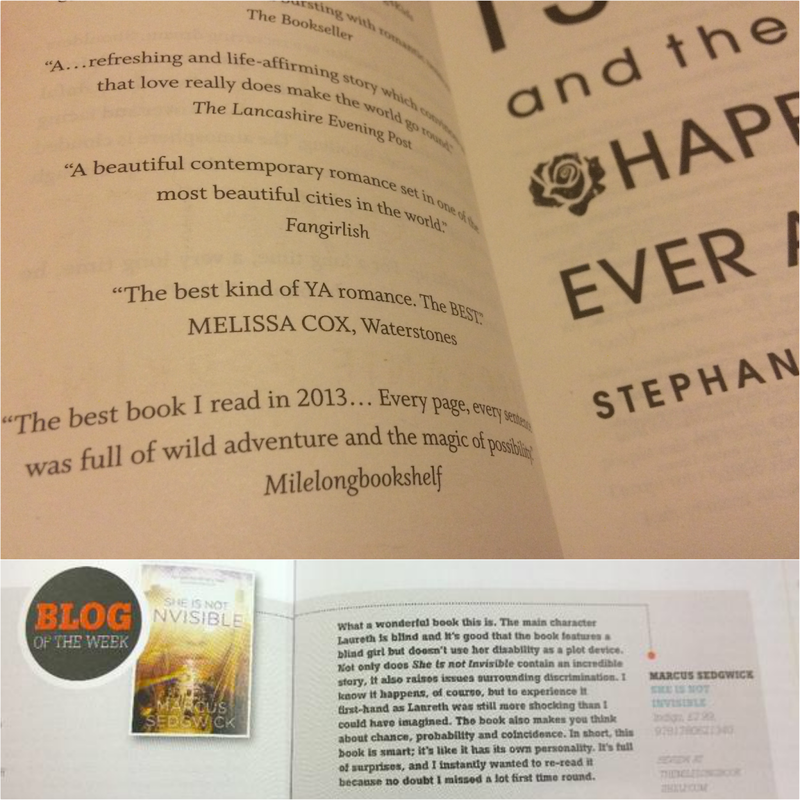 It was great, although slightly scary, and you can see my first post (best YA books of 2014) here. There's more to come in the next few months! On the 4th we went to Colchester Zoo for the first time and it was so, so cool. 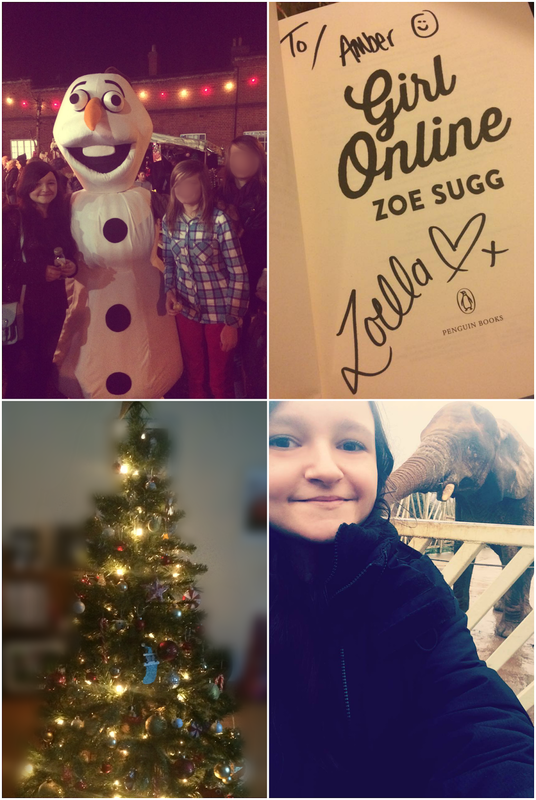 I fed an elephant and got a selfie with it, and got attacked by a chimp - literally. It screamed, ran, and threw itself at the glass which I was leaning against, and it took me 10 minutes to calm down. I was genuinely terrified. Thing is, that's not the first time it's happened. I also got a signed copy of Girl Online by Zoe Sugg which my mentor at Penguin got me from the launch. I wasn't expecting that so it was such an awesome surprise, and apparently Zoe was told all about my blog. I don't usually say this on here, but... asdfghjkl. Speaking of which, there was a lot of drama when the press found out the book was ghostwritten, and you can read my discussion about that here, or read my review of the book here. It really is a great book! Finally, WE PUT THE TREE UP. And that's all I have to say! The month isn't quite over yet but I doubt anything big is going to happen in the last few days we have left, so I think we'll leave it here. 2014, you were a roller coaster. Here's hoping 2015 is even better. Merry Christmas everyone, and Happy New Year! You had an amazing year! I can't wait to see what amazing things happen for you next year! !